Hey everyone, I am going to switch things up a bit with this post. I love talking about intuitive eating and similar topics and will continue to discuss those as they are super important so stay tuned for more. But, I'd like to shift gears for a bit and talk about food sensitivities and a program I will be using in my practice called LEAP Therapy. It uses MRT, or mediator release test to test for specific sensitivities to foods and/or chemicals. I'm super excited because I recently finished my training and am now a CLT, or Certified LEAP Therapist. I posted the quote above because my personal health issues and experiences have pushed me to learn more about the integrative and functional side of nutrition. This means really digging down to the root cause of health conditions and diseases. Food sensitivities can be one of the reasons for some health problems and symptoms, which are often overlooked. So, I will tell you a little more about food sensitivities, who might be affected, and why MRT and LEAP therapy are recommended. I will also link to their website for more great information. It's about to get a little sciency up in here. A food sensitivity is a type of immune reaction in the body to toxic substances, in this case, specific foods or chemicals. The immune cells release mediators, or inflammatory chemicals, which cause inflammation and other symptoms such as fatigue, joint pain, diarrhea, or skin issues to name just a few. A food sensitivity is not the same as a food allergy. Food sensitivities are an IgG immune reaction. Food allergies are an IgE immune reaction. Simply put, they involve different things and different cells. A food allergy can cause immediate symptoms and those symptoms can be life-threatening. A food sensitivity causes delayed symptoms, sometimes up to 72 hours after ingesting the food. The delayed onset of symptoms can make diagnosing the food sensitivity very difficult. These are also both different from a food intolerance like lactose intolerance. Are you still with me? Just hang on a little longer. Who might be affected by a food sensitivity? If it's autoimmune or inflammatory, food sensitivities are good to get checked out. MRT is the mediator release test that can determine the specific food sensitivities. It measures the quantity of mediators (inflammatory chemicals causing problems) released when exposed to 170 different foods and chemicals. It then breaks the foods into green (non-reactive), yellow (moderately reactive) and red (reactive) categories. The foods it tests for can range from common sensitivities like wheat and corn to ones you might not suspect like spinach and blueberries. There are multiple chemicals it tests for including food dyes and ibuprofen as well as naturally occurring chemicals like tyramine and caffeine. If you are really struggling to find answers with your condition, the MRT takes the guesswork out of figuring out what foods will make you feel the best. LEAP (lifestyle eating and performance) therapy uses an individually tailored "ImmunoCalm diet" based off of the MRT results. It is broken down into phases starting with your least reactive foods for a few weeks, then adding in other tested foods then untested foods one at a time. This allows for the immune system to calm down with the hope that more foods can be better tolerated down the road. It isn't a quick process and you might feel worse before you feel better but it is worth it if your quality of life improves. 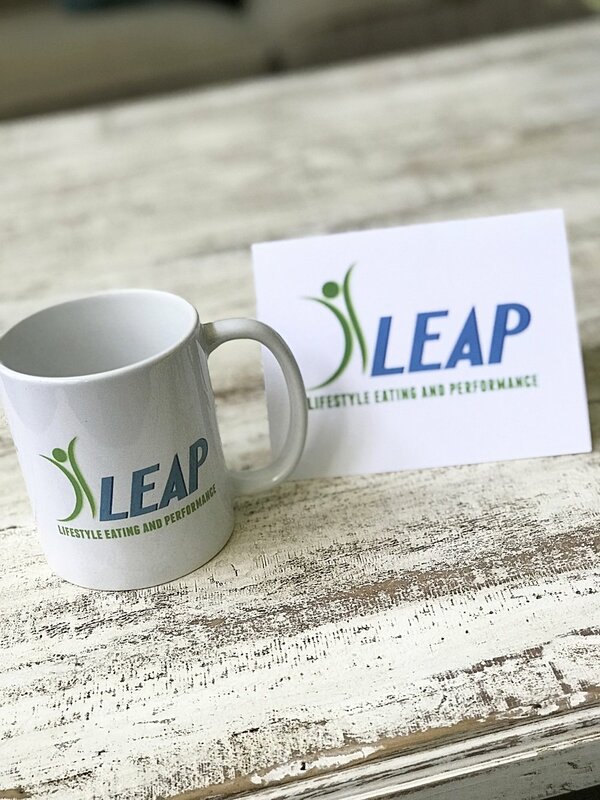 The LEAP therapist, aka me, is there to help you through the process, design your eating plan and phases, give lots of help and support and get you the best results as quickly as possible. So you might be wondering if I plan to do the MRT and the answer is yes. I am actually pretty excited about it. I have been going to a functional medicine clinic because I am hypothyroid, have reynauds disease (neither of which are autoimmune), can't seem to lose weight, am constantly puffy and bloated and I've been dealing with some really bad back and hip pain for over a year. After running some tests my labs showed that I am pre-diabetic, have markers of inflammation in my body (can affect insulin resistance and blood sugar as well as cause fluid retention), and am low in some nutrients. I have tried an elimination diet but it is really hard for me to pinpoint trigger foods when I add them back in. I suspect I have a problem with chicken, corn and dairy but to be honest, I'm not really sure and it's really hard to determine if feeling tired today is due to something I ate 3 days ago. So yes, I am going to do the MRT to pinpoint any foods and/or chemicals that are causing my body problems that I can't figure out. I really hope it's not coconut or avocado or almonds or bananas. Otherwise, I think I can deal. So that is a little bit more about my new CLT title and why I decided to do it. I am very excited to help people that really need the help. I'm excited to put puzzle pieces together to get to the bottom of a condition and use nutrition to heal. I will be back with my results and how things are going. Meanwhile, feel free share this with others and to comment with any questions you have and I'll do my best to answer those.